London (CNN) - Each year, people all over the world gather together to celebrate International Women's Day. We've trawled through all the global events -- most of which fall at the beginning of March -- to bring you the coolest conferences, gigs, walks and other events that you shouldn't miss. The list is jam-packed with inspiring women from all walks of life -- among them scientists, comics, musicians, coders, activists and actors. Whatever you're into, there's probably something for you here. Inaugural event features 15 women speakers all from the west coast of Canada with a diverse array of backgrounds will each talk for eight minutes. The topic: How they are changing their world. Slated speakers include entrepreneur and founder of the Ladies Who Lunch network Maria Kritikos; magazine publisher and pro-marijuana activist Jodie Emery; and Bethany Borody co-founder of Ghana-based consultants Amplify Governance. All proceeds from event go to She Talks Scholarship for a young, emerging female leader. An eight-day extravaganza of comedy, theatre, literature, debate and networking celebrating women and looking at the issues that matter to women today. This year's focus is on male violence against women and speakers include Caitlin Moran, Sarah Brown and Safak Pavey, the first disabled women elected to Turkish parliament. 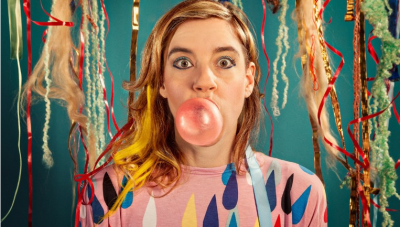 Highlights include a headline gig by U.S. electro-pop maverick tUnE-yArDs and legendary British actress Juliet Stevenson leading a celebration of the life and work of poet Emily Dickinson. A 12-kilometer walk through central Accra in support of gender equality organized by Eventstreet Africa. Walk starts near University of Ghana, Accra and ends at the Ministry of Gender, Children and Social Protection where Minister Nana Oye Lithur will speak on gender equality and women's empowerment. For more information, email eventstreetafrica@gmail.com or call +233 268 576 249. Female-fuelled rock n' roll tops the bill on this one-night mini-festival, which showcases female and female-fronted bands from the local music scene. Bands playing on the night include Sydney hard rockers Lillye, high-energy party girls Tequila Mockingbyrd and three-piece Brace for Whiplash. Introductory English-language workshop in coding that mums and their daughters can get involved in. Presented by Microsoft Luxembourg, Geek Girls Carrots and Workshop4Me. They are riffing off this year's #makeithappen theme with fun coding activities to empower women and girls. Second year of this community conference and resource fair for women, girls and anyone else in Austin. A variety of workshops and discussions are on offer for adults on a wide variety of issues including gender, sexuality, race, disability and much more. For teens and girls, there are workshops like Songwriting 101 -- and parents of young children will be pleased to hear that free childcare is available. High-powered annual forum that brings together leaders to look at ways of empowering women and girls gloally to bridge the gaps in opportunity so that they can support themselves financially and become more independent. Previous speakers include Chelsea Clinton and U.N. Women Executive Director Phumzile Mlambo-Ngcuka. Highlights this year include speaker Sakena Yacoobi, Executive Director of the Afghan Institute for Learning, a recipient of many awards for her efforts on behalf of Afghan children. Eat a continental breakfast at the Stardome Observatory and Planetarium, then hear three pre-eminent female scientists discuss their work and careers. Speakers are Jilly Evans, co-founder of biotechnology firm PharmAkea Therapeutics, physicist Cather Simpson who is Director of the Photon Factory at the University of Auckland and forensic scientist Jill Vintiner, Forensic Programme Manager at the Environmental Science Group. Annual conference at the Archbishop Desmond Tutu Centre for War and Peace Studies to celebrate International Women's Day. speakers are yet to be announced but this year's themes include women's involvement in front-line activities, anti-war campaigns and pacifist activism and how gender affects violence in conflict. Leading Women also has something special planned for this day - but you'll need to wait until International Women's Day to find out what!